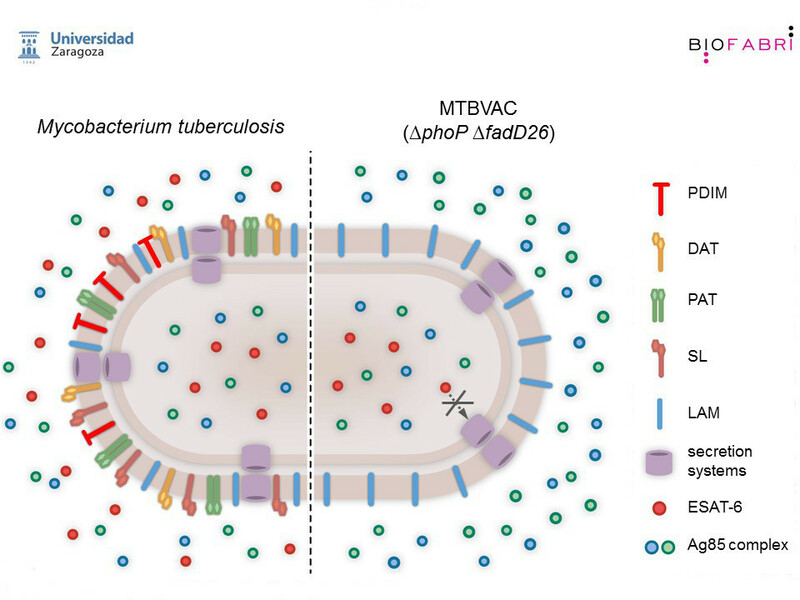 We have led the research and discovery of the live vaccine candidate MTBVAC, which is based on two stable deletion mutations, without antibiotic resistance markers, in the virulence genes phoP and fadD26 engineered in a clinical strain of Mycobacterium tuberculosis. 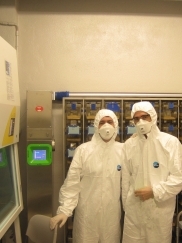 Inside the TBVI consortium, the discovery phase of MTBVAC has included rigorous preclinical characterization by independent laboratories and research partners demonstrating robust attenuation, safety, and immunogenicity and protective efficacy profiles in different animal models supporting further vaccine development. 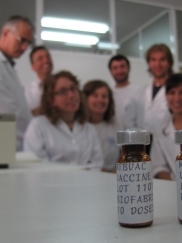 The promising preclinical data led UZ to form an industrial partnership with the Spanish biopharmaceutical company Biofabri with the objective to manufacture and develop MTBVAC as vaccine for human use (in compliance with Good Manufacturing Practices) supporting progress to first in human clinical evaluation. As result of the successful industry – academia collaboration coupled with the help of independent expert advisors through TBVI PDT/CDT, in Oct 2013, MTBVAC entered first-in-human clinical evaluation at CHUV in Lausanne, Switzerland (NCT02013245) evaluating safety, tolerability and immugenicity of MTBVAC as compared to BCG. 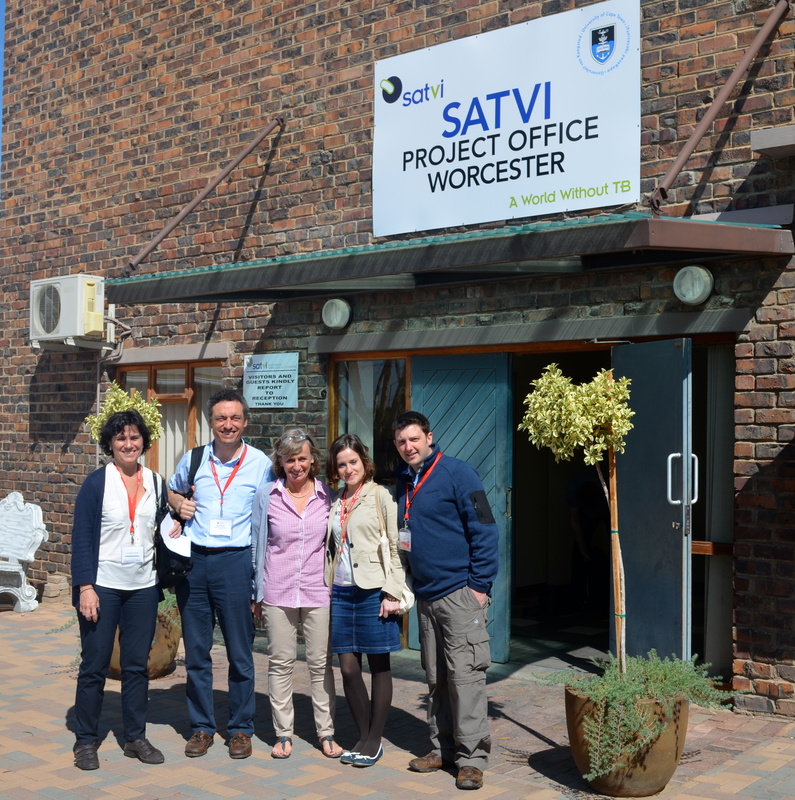 The trial successfully completed in Nov 2014 and supported entry into a Phase 1 trial in newborns by the South African Tuberculosis Vaccine Initiative (SATVI). The promising adult safety and immunogenicity data in Switzerland support clinical development of MTBVAC in different target age-group populations (from adults to newborns) in TB-endemic countries. Biofabri is the Clinical Trial Sponsor of MTBVAC. 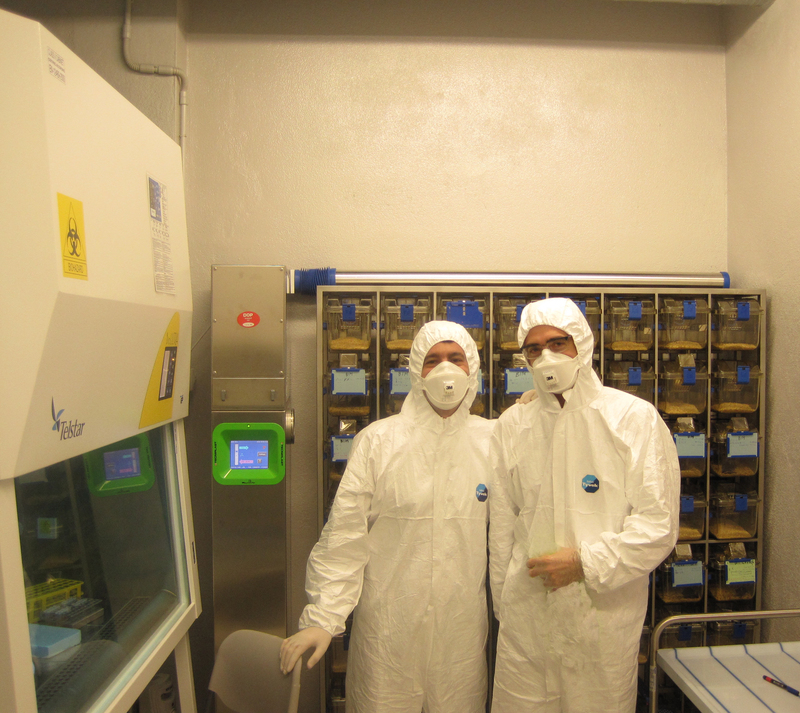 The Mycobacterial Genetics Research Group, at the University of Zaragoza was founded by Carlos Martin in 1992 after his return from Professor Brigitte Gicquel’s lab at Pasteur Institute in Paris, where he was a permanent researcher for five years. 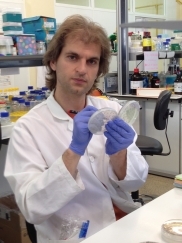 Carlos Martin MD, PhD is a Professor of Microbiology in the Faculty of Medicine at University of Zaragoza and member of the TBVI Steering Committee, with more than 25 years of experience in mycobacterial genetics. Since 1992 the group has led numerous pioneering TB research projects, both of national and international significance, in TB diagnosis, drug resistance and vaccine discovery using state-of-the-art M. tuberculosis genetic engineering. 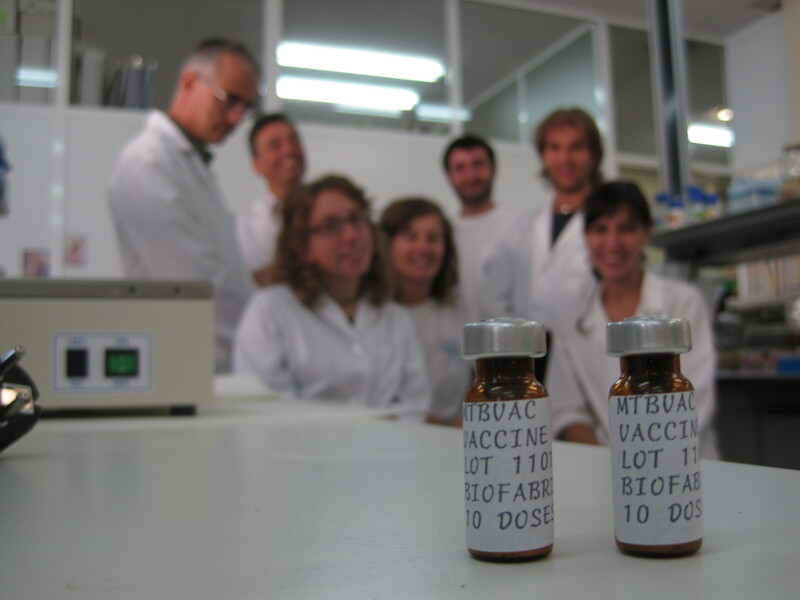 In the sphere of TB vaccine discovery, our team aims to develop novel tuberculosis vaccines and vaccination strategies to improve protection against pulmonary TB. 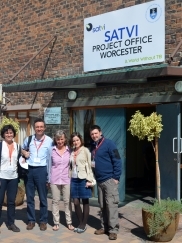 Current work is being done in collaborative tuberculosis research projects together with research groups of Europe (TBVAC2020) and Latin America (EurolacTB and SLAMTB). Since 2007 our group has been integrated into the Spanish Research Network on Respiratory Disease, CIBERES, (Instituto de Salud Carlos III). 14th January 2016 – Nacho Aguilo from our lab has been selected as the inaugural recipient of the CTVD Early Career Scientist Award for his contributions to research in TB host-pathogen biology, immunology, and vaccinology. CTVD is the Collaboration for TB Vaccine Discovery, and is funded by the Bill & Melinda Gates Foundation. The a award was based on his contribution to the characterization of MTBVAC vaccine candidate and studied the mechanisms of virulence of M. tuberculosis and pulmonary vaccination which contributed to the 14 TB-related publications you have to date. “Early career scientists are essential to ensure that the field remains innovative and scientifically robust,” according to the CTVD. Over the years, Dr Nacho Aguilo has made significant contributions to research in TB host-pathogen biology, immunology, and vaccinology. His main research activities are related in the host pathogen in Mycobacterium tuberculosis, studying the mechanisms of virulence of M. tuberculosis and pulmonary vaccination. Dr Aguilo has been working in the study of apoptosis induction as a key mechanism of virulence of M. tuberculosis, mediated by ESAT-6. Dr Aguilo has contributed to the characterization of MTBVAC vaccine candidate and demonstrated the safety and efficacy of MTBVAC in a mice neonatal model.